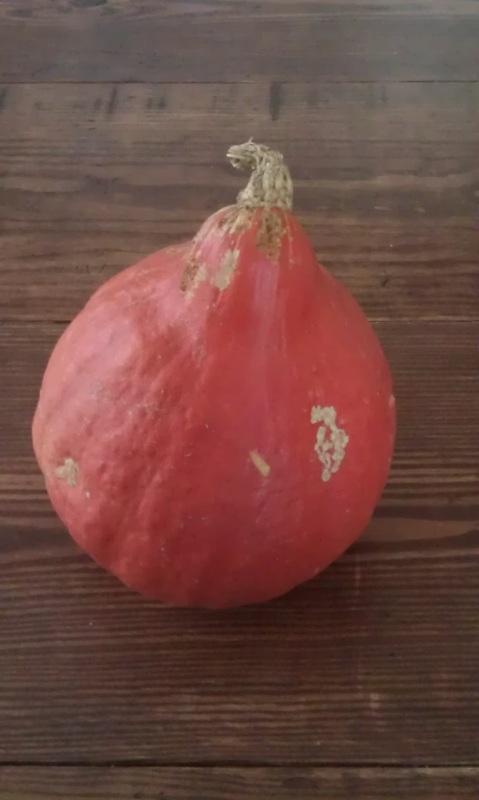 what kind of squash is this? 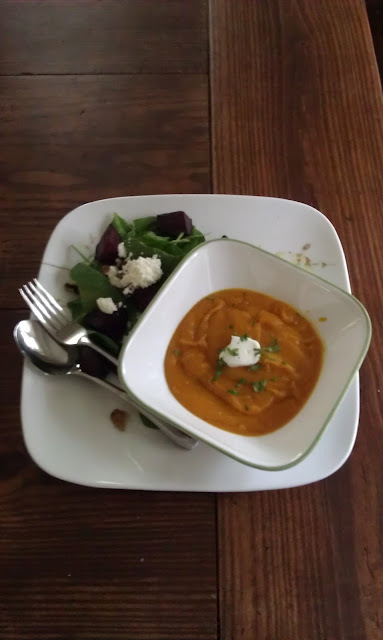 The soup was delicious, warm, spicy not spicy hot but spicy from the garam masala and smooth! Serve with a side of roasted beet salad! I roasted my squash at 425 degrees for about 30 minutes, with about 2T garam masala, salt and pepper and olive oil. 4-6 C vegetable broth, depending how thick you like your soup! 2 cloves garlic, roasted if you're already roasting, minced otherwise. heat oil and butter in large pot. add potato, carrot, and onion. sautee on medium heat, stirring often. veggies should soften and become deliciously fragrant and caramelized a little. while the veggies are working, prepare squash then add squash (in my case, this involved me cutting the rind off and adding it to the pot, if I could go back, I'd just scoop the roasted squash out of the rind into the pot). let simmer for 20 minutes, then blend with immersion blender. slowly add more broth if you like it soupier, remember you can always add more, but you can't easily take it out! garnish with cilantro, and sour cream!